The past two Saturdays have been delightful. Catching up with friends and wandering the streets of London are my ideal weekend excursions. I’ve been equally lucky with the weather, bright sunshine that even the bitter wind can’t ruin. Spring is trying to settle in and I adore it. With spring comes Easter, and although Easter traditionally is about Jesus, in America our focus is on chocolate and decorated eggs! There’s a part of me that’s wired to this city. My friends routinely call me ‘the human GPS’. The multi-tasker I am, I relish in any London street challenge. 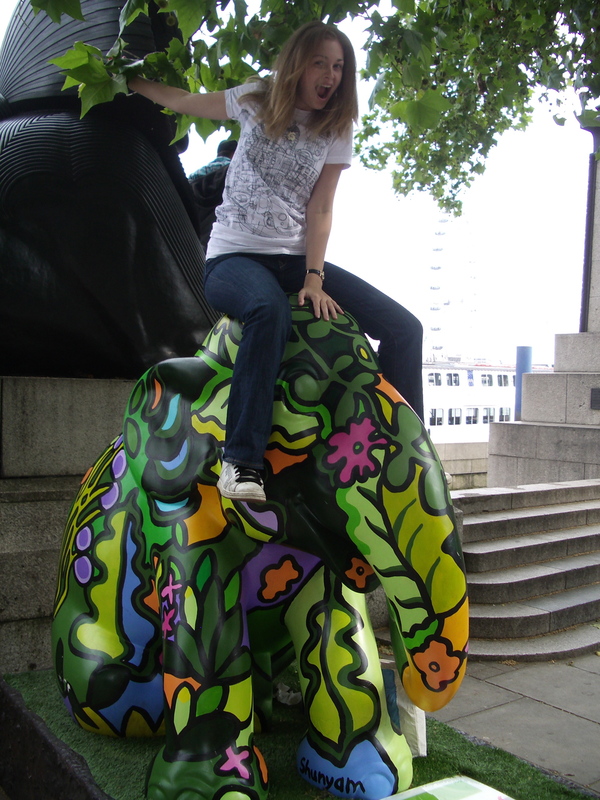 In 2010, London hosted the Elephant Parade to raise awareness and funds for the Asian elephant (apparently the African ones are fine). 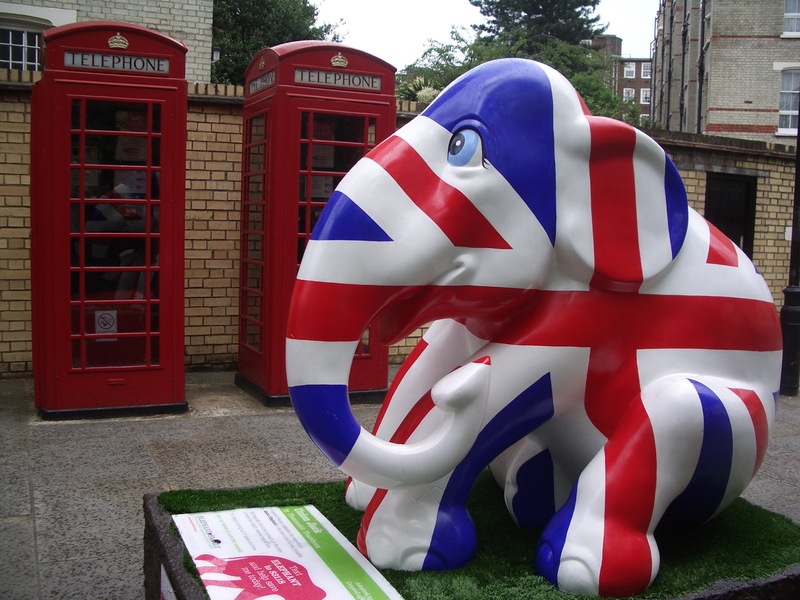 There were over 250 elephants placed around the city as you can see from my blog’s banner. In the end I found 247, with one-day left to seek out the final three. However, I know how to prioritise and when the family I used to nanny for arrived on that final day, the hunt was over and I was proud of what I’d found. My love for artistically decorated animals began in 2007. Pike Place Market in Seattle, Washington is one of our most beloved tourist attractions. When you go to Seattle, you visit Pike Place Market. 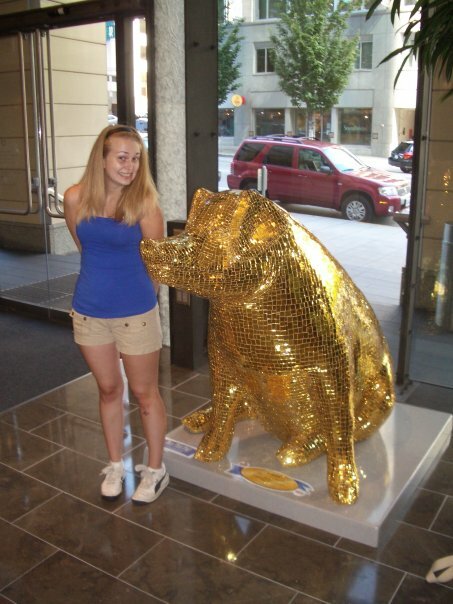 In the summer of 2007 Pigs on Parade was back (after their original run in 2001) to raise money for the Market. 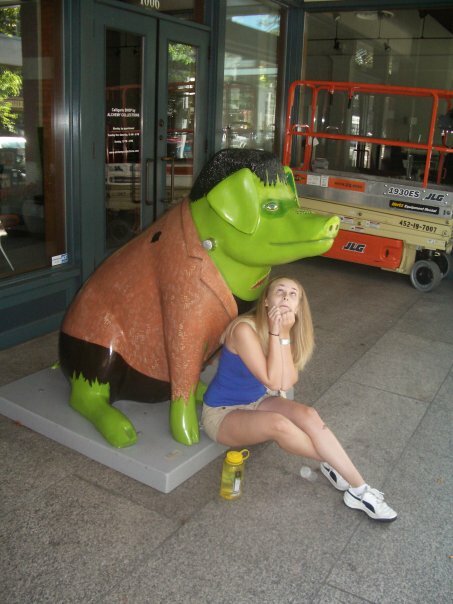 There were 100 pigs littered around Seattle, and I became hooked on wandering the streets to find them whilst explore the city. I found 80. 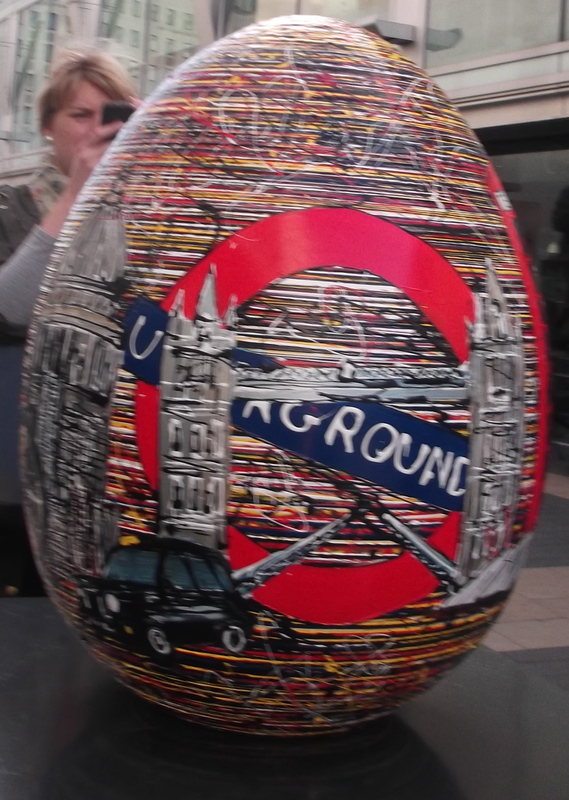 With The Faberge Big Egg Hunt, the eggs are hidden around London, whereas the elephants and pigs were mapped out. As if this event couldn’t get any better in my eyes. 12 zones are outlined, with names of the eggs and their approximate location, but it’s vague and the eggs could be anywhere inside of a building, or outside surrounding it. There are 209 eggs and they’re only going to be around for the 40 days of Lent. Talk about a deadline! I love a timed assignment that gives you that productive feeling of achievement from working under pressure. Thus the hunt is on, bringing me to places of London I haven’t spent much time in and providing the opportunity to take on this personal research project. I’ve found fifteen eggs so far, and I’ll be spending a few hours tomorrow hopefully covering a few zones that are closely connected. If I’m fortunate maybe I’ll be able to have a friend join me in this adventure. I’ll keep you posted. If you could buy one of the eggs which one would it be and where would you put it? 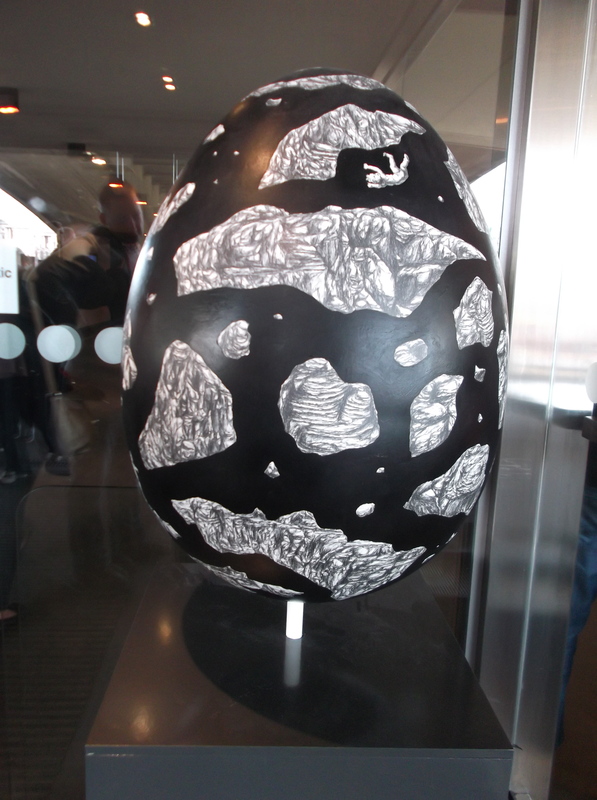 Personally I’d go for the Dinosaurs egg by Rolando Di Sessa Neto, although All the Stars, Moon and Sun by Ajay Padda would be great in any flat! And the Where’s Wally by Martin Handford is adorable! 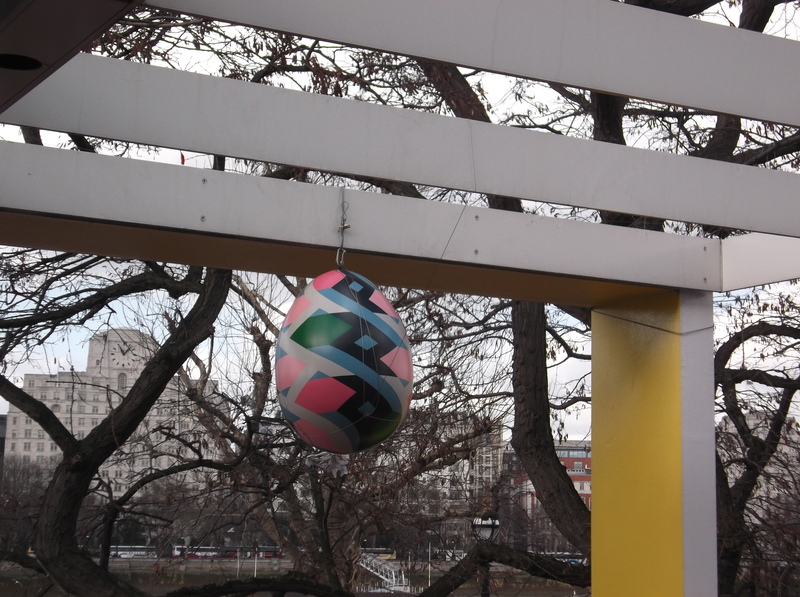 That egg is being moved around the city every few days. Will I be able to find it? Check back next week for an update. You are the prime egg-ample of a true hunter! I hope you scramble to find all those eggs with time left over to enjoy the sunny-side of egg-citing London. Eggs!